Railway recruitment board is a kind of government organization in the country which was set up in 1998 in the Ministry of Railways, New Delhi. it formulates various policies in regard to the recruitment procedures. Also, it monitors the activities of all the other recruitment boards in order to control the expenditure for the recruitment. Other kind of work related to the boards is also managed and organized by this board. Those who come to work under the branch of Indian railways are recruited and appointed by the board. There are a total of 21 boards situated in different parts of India. 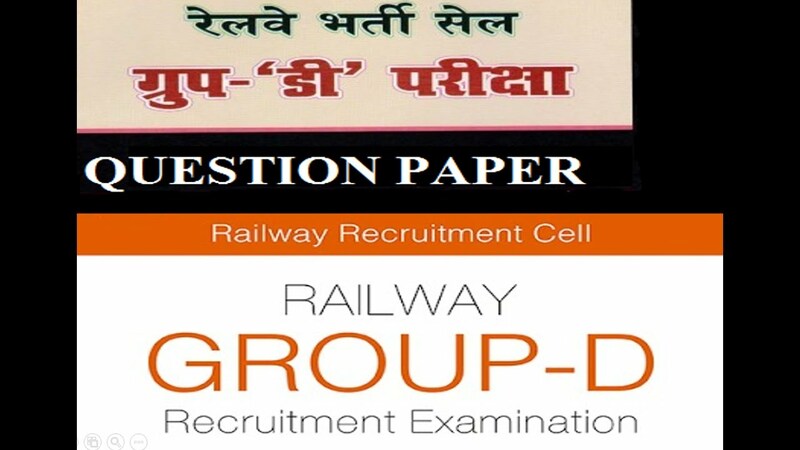 Railway Recruitment board generally conducts computer based examination for various posts such as ALP and technician. The examination is also held in two steps namely CBT and then an aptitude test. After the process of document verification, the candidate is employed on the regular basis. The notification regarding the vacancies is duly made and vacancies are arranged. As such there are no important requisites to be followed before opting for the course. The candidates who are interested can undertake it in the appropriate institute without giving any second thoughts. Computer based test is the first stage based on which the selection of candidates is made. It consists of four sections namely mathematics consisting of 25 question, general intelligence and reasoning consisting of 30 questions, general science consisting of 25 questions and general awareness and current affairs containing 20 questions. A total of 90 minutes will be provided for finishing the examination. Negative marking is also there and 1/3 marks will be deducted for attempting the wrong answer. The examination is multiple choice questions based. The male candidates must be able to carry a weight of 35 kg for 100 metres in 2 minutes. It should be done in 1 chance itself without putting the weight down even for once and they must be able to run for a distance of 1000 metres or 1km in 4 minutes and 15 seconds. The female candidates must be able to carry a weight of 20kg for 100 metres in 2 minutes and they must also accomplish the task without putting down the weight even for once. Moreover, the candidates must be able to run for a distance of 1km in 5 minutes and 40 seconds. No second chance will be provided to anyone. The physically disabled candidates don’t need to appear for the physical test but they must clear the medical examination. Commencement of examination: 17th September 2018 onwards. Many candidates are willing to begin their career in Indian railways. But this is not possible without clearing the examination and the exam can only be cleared when you are thorough with the syllabus. For the preparation, the question papers are very essential to go through once. They guide and tell you how prepare an attempt the examination. The examination pattern, scheme types of question coming up and time will be discussed in the following article and must be properly gone through. Practice makes a man perfect. Any good result involves the efforts of the person and lot of practice. The candidates must solve the question papers and evaluate themselves on the areas that are going to be tested in the examination. In order to get selected, the candidates must work hard and prepare according to the syllabus that has been updated. Other than pdf sample papers, many books are also available in the market. These books contain many sample papers along with solved papers. These can be purchased for a good level practice. You can download as many question papers as you want in Hindi. These are some simple steps that can help an individual to download the question paper in Hindi. The examinations are going to be held very soon and the students must be prepared for them. In order to hasten the process of preparations, the students must download the question papers in the language that they feel convenient to study in. This will help them to prepare for their exam. The steps to download the question papers in Hindi have already been discussed above and the candidates take help from there, follow the same instructions and download the question paper. Moreover, the candidates must remain updated about the recent information regarding the examinations. The date and criteria has also been discussed above which will help the candidates in the long run. Moreover, this lifetime opportunity for the candidates to go for. This will guarantee their selection in the government sector and a secure and tension free life. This is how the candidates will be able to design a future that is completely secure.